Why Big Brands (Should) Choose Small Agencies | Macleod & Co.
As a newly minted small agency owner, I spend a lot of time thinking about how to woo big brands. Between meetings, on the treadmill, in the shower… the topic is never far from my mind. I know how much small agencies have to offer — I’ve drunk the Kool-Aid — the question is, how do I convince the masses? Everyone appreciates being remembered and called by name, and clients are no exception. It’s true that small agencies are able to offer clients a more personal experience. But in my mind, that’s not the most important reason for big brands to work with small agencies. The real value of a small agency is in our flexibility, efficiency, and raw creativity. We are small by design. We choose to maintain our small size because it allows us to attract badass, talented people who are nimble and hungry for a challenge. We’re a close-knit team and selective about who we work with; as a result, we’re driven to deliver you nothing but the best. We chase the problem with you. At our core, we are problem solvers. We make your business problems our own, and attack them strategically. Everything we do, from collateral to logos to social posts, is created with purpose. We view it as our responsibility to push you creatively. As a small agency, we aren’t afraid to tell you that something won’t work — but when we do, we’ll always be ready with a fresh idea. When you work with us, you work directly with the decision makers (not the guy who works for the guy). The minute you walk in the door, you’ll know how much we value you; we know your name, your business, and treat your goals like our own. Every member of the Macleod & Co. team is an expert in his/her area. We walk the talk, which to us means doing research and keeping a finger on the pulse, so that we are always aware of what’s going on in our industry. In our first meeting, we guarantee you’ll hear things you’ve never heard before. 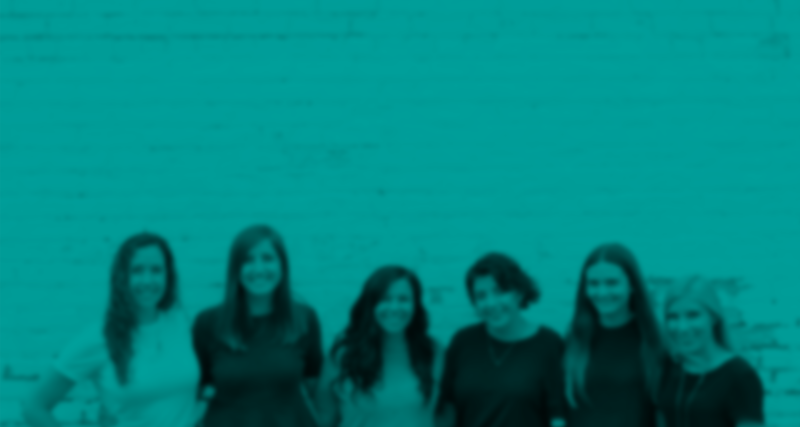 As a small agency comprised of millennial women, we bring a unique perspective and can give you insights you never knew you needed. Small agencies have a lot to offer. The fact that we are a small agency means we are uniquely positioned to help big brands succeed. We tell clients what they need to hear, not what they want to hear. And we work with them to make their dreams a reality. Our nimble team of experts, each brilliant in their own respective ways, allows us to offer each client a wholly unique experience that will impact their brand and their business for the better. About the Author: Agency Director Allison Wasz is a holistic thinker and digital marketing expert through and through. She lives and breathes digital — strategy, social media, paid search, user experience, and content generation are part of her day-to-day. Allison’s drive to understand the ‘why’ behind every action makes her well-suited to helping businesses of all sizes and across all industries develop and implement their digital marketing strategies. She believes in an educational approach to digital strategy, empowering clients to grasp how digital works in tandem with traditional marketing. Allison is a coffee drinker, part-time yogi, and red wine aficionado who spends her free time eating guacamole and patiently waiting for the next George R.R. Martin book.